In our continuing series called Meet the Presenter-Tag, we will explore the world of circus arts programming with different presenters and programmers from around the world, delving in to the particulars of their region, and learning more about their specialty and the industry standards that they help to develop. At the end of each featured interview with the presenter, we will ask them to recommend the another presenter or programmer to be featured. 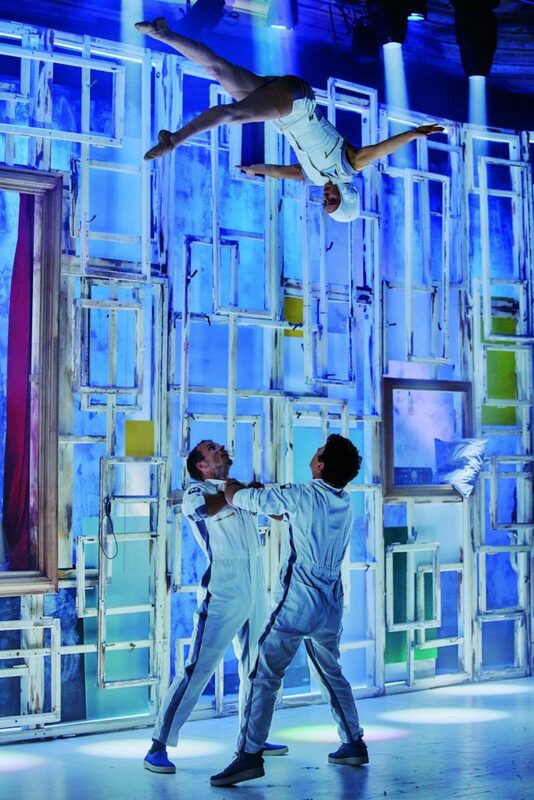 The Chamāleon Theatre Berlin has been presenting new circus in Berlin since 1991. 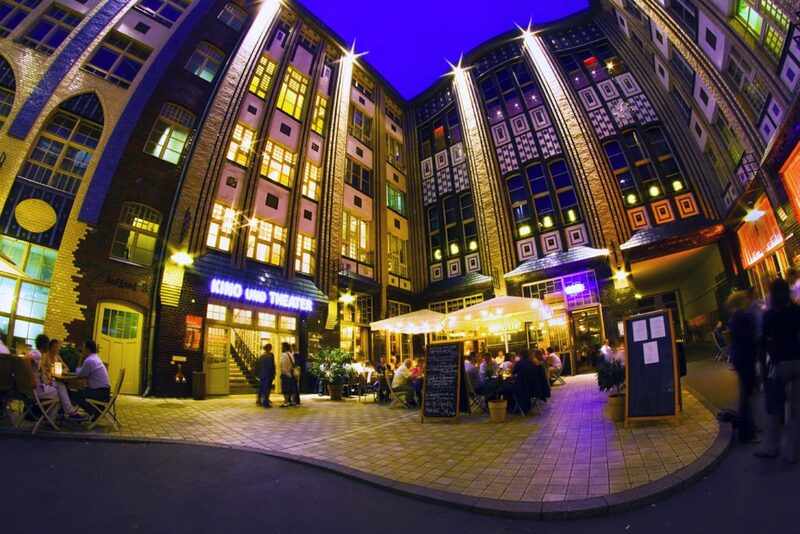 The location was first a cabaret style house that welcome artists after the fall of the Berlin wall. For 15 years, art director Anke Poltiz has brought international companies to the Berlin circus scene. She is the one who takes risks to offer the most ambitious programmation to the audience. 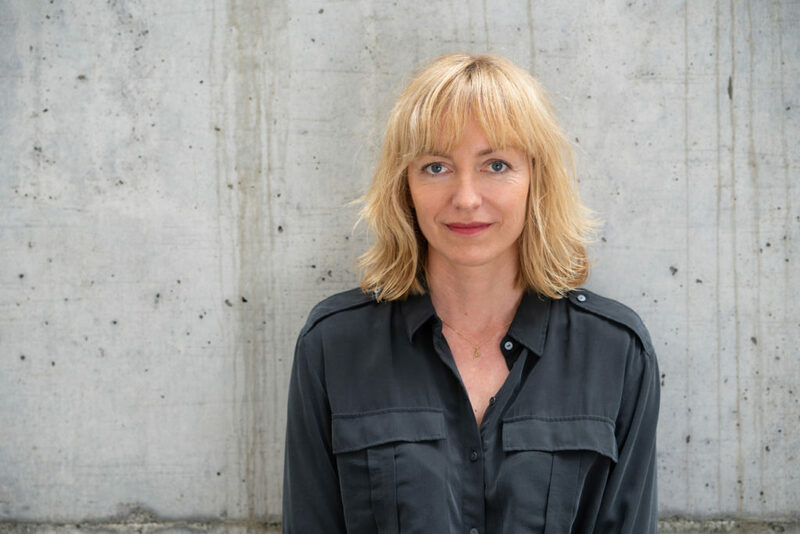 In 2004, when she took the Artistic direction of The Chamāleon, Anke Politz was 30 years old and became one of the youngest directors worldwide.Since 2017, she has been organising artist residencies at Chamāleon. This project allows artists to have the time and space to develop a creative play that can be presented on stage. Anke is also collaborating with the Center of Moving Art in Berlin, thatworks with people with special abilities to include them in different projects. We wanted to know more about what drives her to program the best new circus and the best artist, and how everything began. 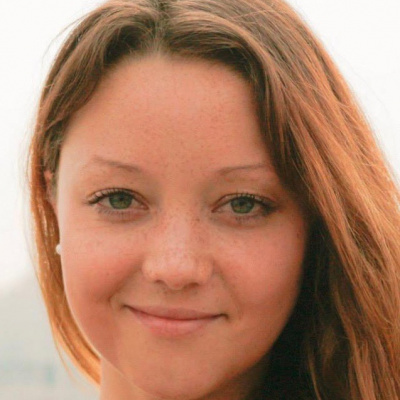 Nastasia Beausejour: Can you introduce yourself? Anke Politz: My name is Anke Politz, I’m the artistic director of The Chamāleon Theater and the managing director of Chamāleon Productions, which means I run a production company that produces shows for The Chamāleon or presents shows there but also produces shows for other venues. NB: How long have you been presenting circus? AP: For 15 years. I have been here since the beginning when we re-opened in 2004. I was running the marketing and communication department at the beginning and then I became the assistant director of the theater, and then the director. Slowly but surely I moved to the other side of the stage. NB: Did you have specials goal, to bring variete into new circus ? AP: No, I think it was the other way around. Because The Chamāleon used to be Variety theater and when, in 2004, before my managing director re-opened, his goal was clearly to present a different art form. At the beginning we called it directed shows and modern variety, and we produced our own shows, very small scale work but very beautiful, and then, we invited The Seven Fingers from Quebec with their piece “LOFT” with the original cast. This first encounter with the contemporary circus was a groundbreaking experience for us all. It really shaped our own vision and understanding of this art form. This is what we’ve been trying since then : to invite companies from all over the world to present new work at The Chamāleon, to give us an insight of how really wide this artistic landscape is. NB: Can you tell us how you got into circus ? AP: I really got into circus by starting to work at The Chamāleon. I’m not a performer, I come from communication and marketing, so I was always close to art, music, literature, I was working for artists, but I absolutely had no idea about circus before I start working here. I think the growing process of the theater is also kind of symptomatic of my own. With this theater, I discovered this art for myself and through the people who come to us and work with us, my own understanding gets much bigger and more colorful. NB: In Germany, there are very little financial grants for circus, it is not very developed. How can this change? AP: I think we just have a different history and Germany always used to be traditional circus. Circus with animals has a huge history in Germany, as well as the variety, the golden 20eme, all of this. And so, I think the contemporary circus is something we really see happening for 20 years now, also the steps are a bit slower because there is no funding. So everything comes from private initiatives. The funding situation is changing now over the last 2 years. We have a completely different situation. But it’s just a different artistic culture as well. We have to define what contemporary circus means to us and we have to find the way to convince people to open their funding for us and it’s happening. Slowly but of course it’s much slower than in France or other countries. NB: Italy recently banned animals. What do you think about that? AP: I think it goes along with the natural evolution of the circus as an art. In some parts of the world we have the luxury to ask moral questions and to really put ourselves in the situation where we let go of things we might like because we understand that they are not healthy, fair or moral. I think that, yes there are probably very many horrible examples of how animals are treated. I also think that there are circuses who work with animals who love them and are kind to them. But I think the idea to take an animal and put it into a zoo or circus is kind of the same. It’s not normal for the animal and now we understand that this is the case and we should let it go. NB: How do you look for a new production ? AP: When you look at our programming work, you see that we are presenting two shows per year. Each show will be on stage for six months. So the traditional way of programming doesn’t work here. I don’t go to festival and book shows. I see a lot of work, I meet a lot of companies in order to find out if we could adapt their existing work to our stage or who is the next creative person I want to trust by giving them a season here and asking them to create something new for us. NB: You have been awarded by the Berlin Senat and had a residency in 2017 and 2018, can you tell us more about it? AP: We will apply again to get an extension of the project, because this residency is something we’ve been dreaming about for many years. We were able to give money to the artists to create what they have in mind, so they don’t have to take another job on the side. For a certain period, they can get into the creative process and we had 2 artists or companies who did those residencies and it was really amazing to see what happened and how strong the process was. How enriching the residency was for all of us–not necessary because there is a piece at the end, but that wasn’t even the goal. The goal was giving the artist the chance to create and work freely without the outside pressure of a producer, presenter or audience. Residencies are the best new way to express yourself in a safe environment. We will ask for residency again this year, but if we will not get the funding, I’m quite optimistic that we will offer a residency on our own, but that means using the resources of The Chamāleon. NB: How long is the residency? AP: Six month usually. But that doesn’t mean the artists have to work for six months full-time. We block that period so they can come in and out as they want. At the end of the residency, we organise a presentation. A presentation can mean that we sit on stage and talk about why it didn’t work. So it’s really an open project. NB: Can you talk about your current project? AP: It’s called, Memories of Fools by the company Cirk La Putyka from Prague. We worked with them three years ago when they did their first creation for us. That was a beautiful experience and a really nice season. I went back and asked them if they would like to do another project for us and they said yes. They develop a new concept with more theater than circus. The storytelling is omnipresent in this piece. This is really one of those projects where you see the final piece only when the curtain opens for the first time, so it’s a surprise for us as well to see the piece that will be on stage for the next six months. I guess it’s a big risk because there are less circus elements than we are used to, but I think when we say ‘new circus” it is important that we show all the different aspects of it. NB: Name a presenter that you admire to be our next guest? AP: I would say Adrian Berry who is managing Jacksons Lane in London. I really like his work. Nastasia Beausejour has been a freelance journalist since 2014. She specializes in entertainment and cinema, and she writes for a Press Agency in France. With a Bachelor in Linguistics and communication, she gives workshop about fake news for Erasmus +. Passionate about art and circus, she has a performing background as a trapeze artist educated in Paris and Melbourne (Ecole de Nanterre and NICA, Melbourne). Nastasia has lived in Berlin for the past 4 years.